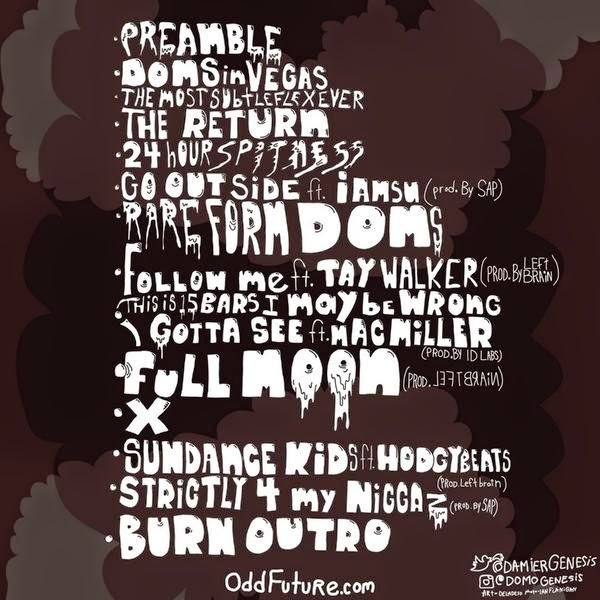 Domo Genesis needs to be recognised as an Odd Future crew member no longer sitting in the background. Under The Influence 2 is the sequel to his 2011 mixtape and sees Domo alongside Mac Miller, IAMSU, Tay Walker, SAP, Hodgy Beats and Left Brain. I really enjoy 'Follow Me'. Have a listen below.